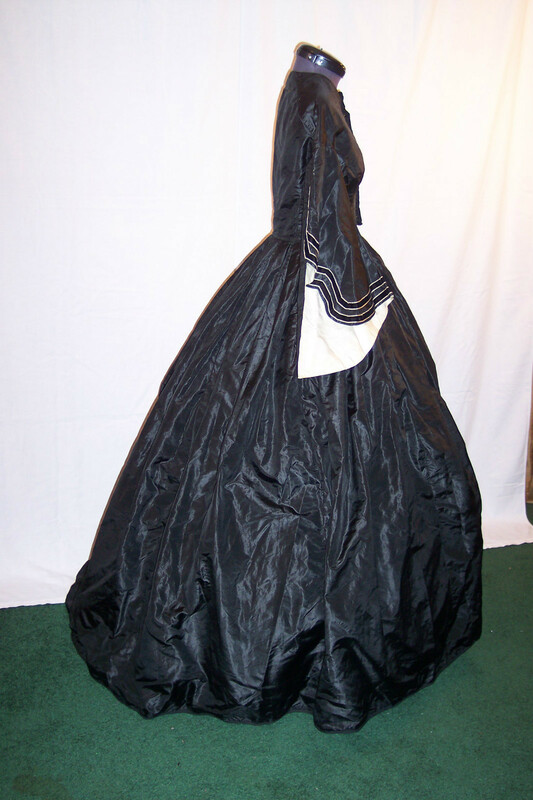 This is a lovely 19th century dress made approximately 1859-1860. The fabric and sewing techniques are very typical of the era, so this is a wonderful dress to display as well as study. This dress is very small: bust 30-31", waist 25", center back length of bodice is 14 1/2", front skirt length is 42", back skirt length is 45 1/2". The skirt is very full, measuring 150" around the bottom. The pagoda sleeves are very graceful. 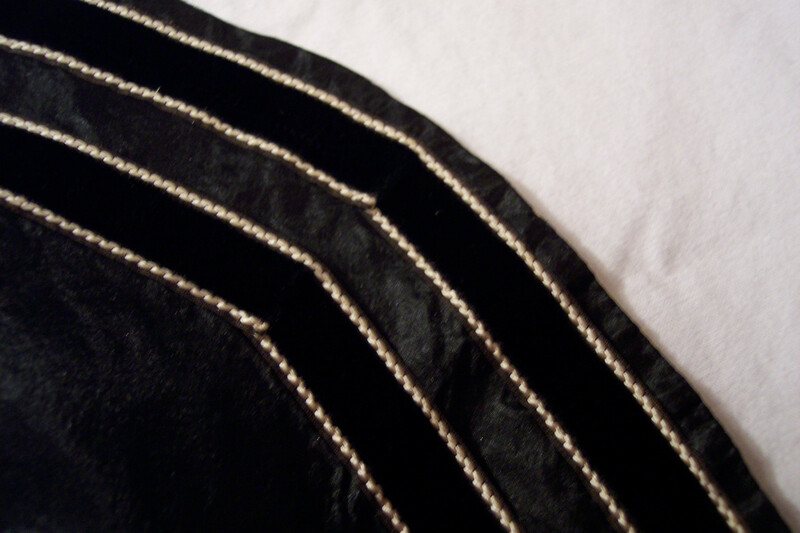 They are trimmed with a 1/2" wide silk velvet ribbon with white chain stitch edging. 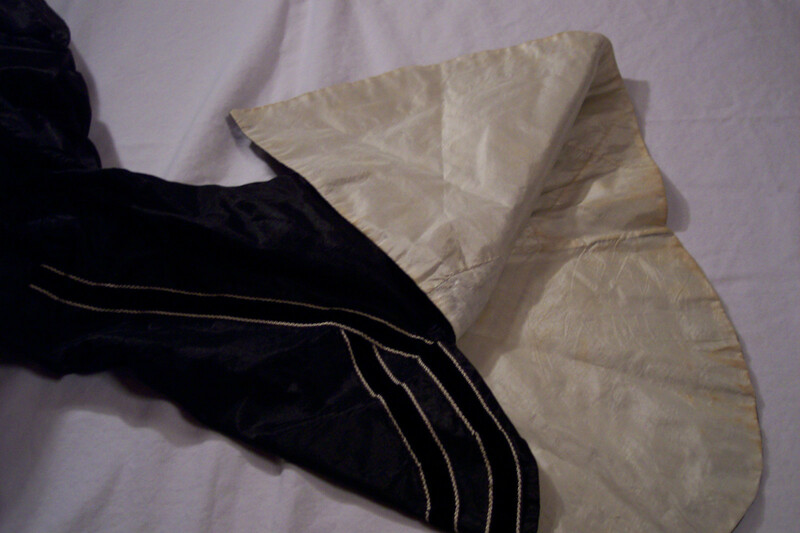 The sleeves have a white lining - top of lining is polished cotton, bottom of lining that shows is white silk (which is soiled - see photo). The sleeves are 18 3/4" long at the longest point. 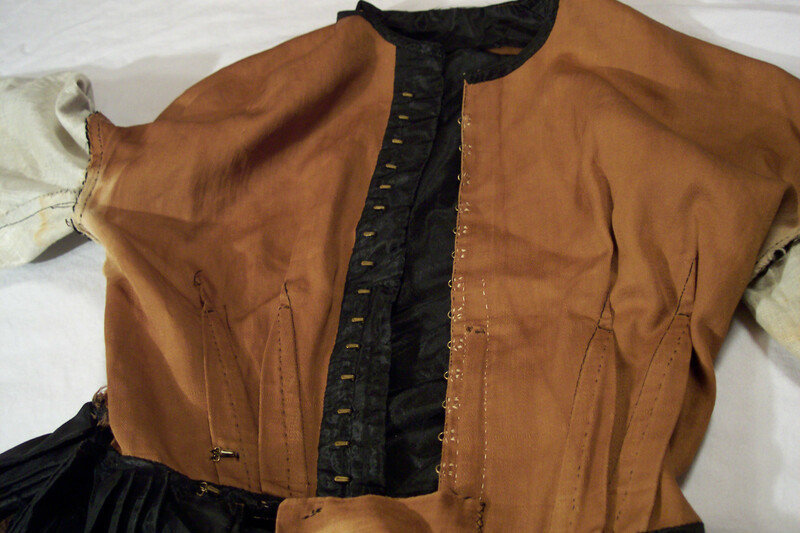 Bodice of dress is heavy brown cotton, not polished. 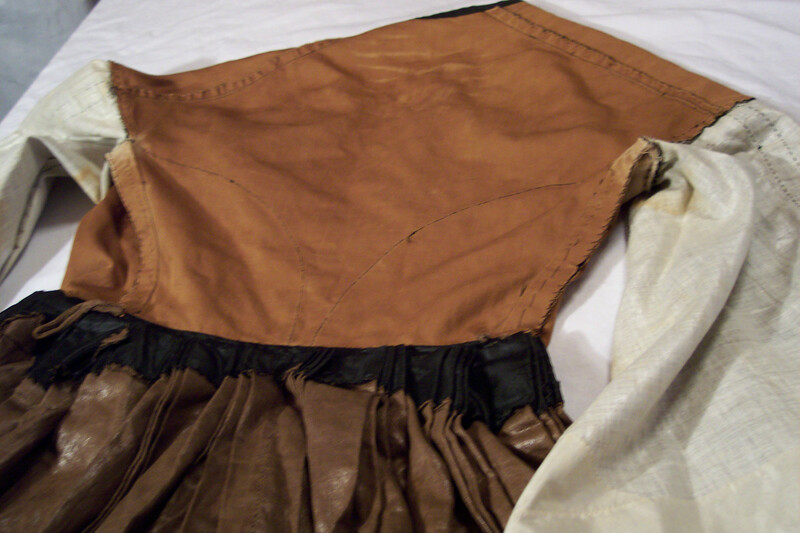 The skirt has a lightweight brown glazed cotton lining and bottom of skirt is encased in 1/2" wool hem tape. 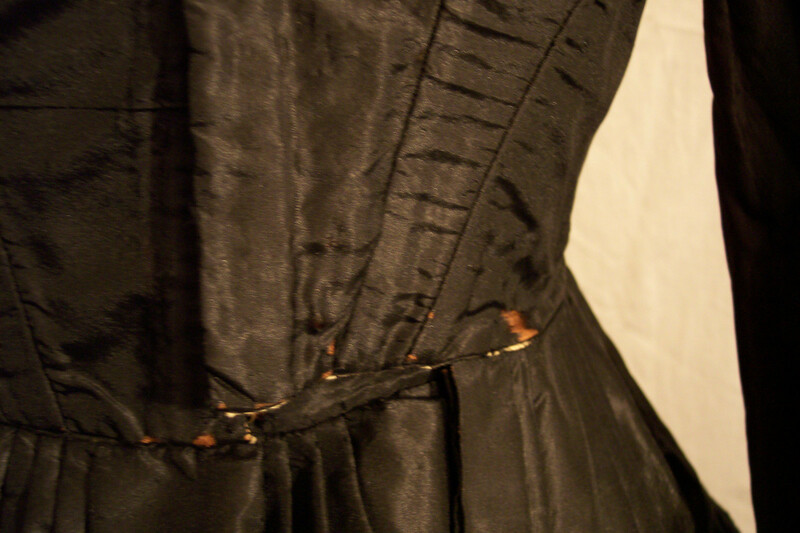 There is a pocket in the right front seam of the dress, as is usual for nice dresses of this era. 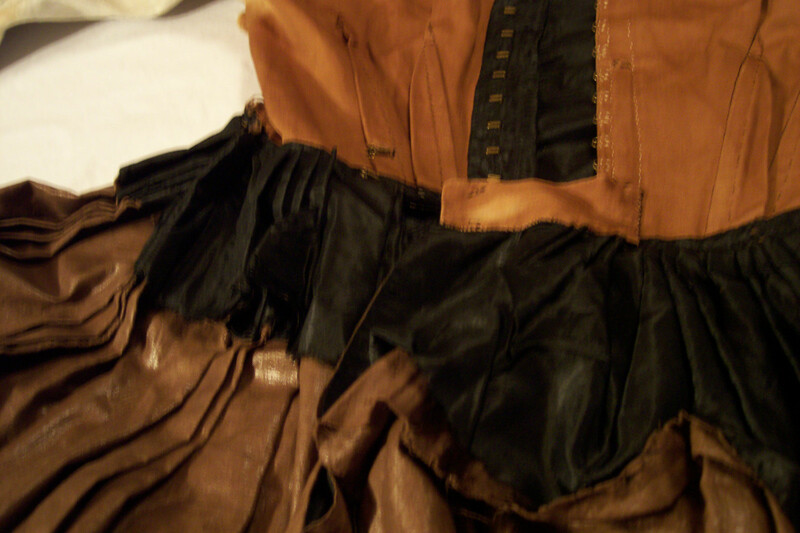 Bodice has two boned darts each side of center front. 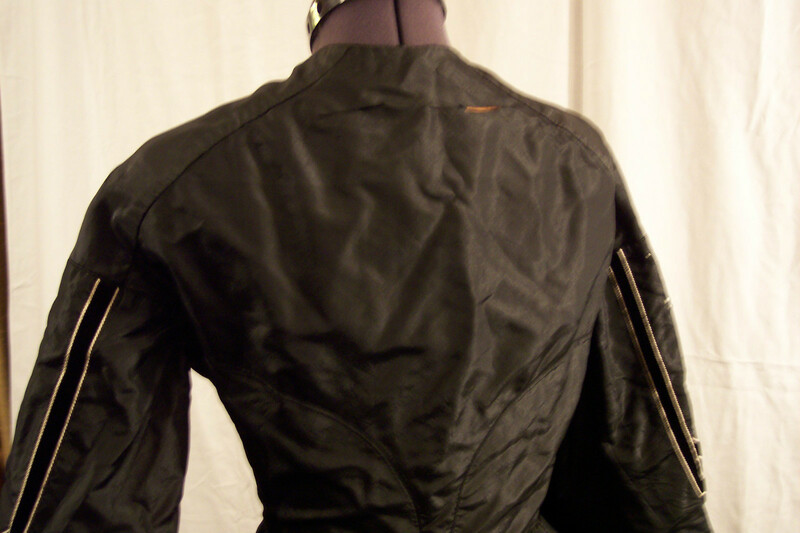 Very small piping in neckline, armscye, and at waist of bodice. Hook and eye closure at waist. I love that the seller took such awesome "inside" shots but I wish there was at least one full front shot.